What Is TeePublic? I hope to explore and reveal all the significant positives and negatives of designing and selling t-shirts with this print-on-demand website, TeePublic. Probably more importantly, determining if can you make money designing t-shirts at TeePublic? Diving right into this, TeePublic is a website where you design and upload your artwork to their site. Then visitors/customers can come to TeePublic site and purchase the shirt or product. All the while, TeePublic handles the printing of the shirts and shipping/handling. Leaving you solely, to just designing and marketing your products. TeePublic has been around since 2013. If you don’t recognize TeePublic’s name, you might recognize their other company BustedTees. As this is highly advertised on the internet. Now you might be asking yourself, what kind of products could I put my artwork on? Good question! Plenty…I love all the options TeePublic has to put your artwork on. So, when you first upload any new artwork or design, that design is immediately on sale for the first 72 hours (3 days). Don’t worry your product will still be available to purchase after the initial 72 hours have passed but at a regular price. This is called the sitewide rate after the initial 72 hours have elapsed. The commission you make at TeePublic is set…yes in the “proverbial” stone. Where there are NO adjustments like other sites, for example, Redbubble, where you can adjust your potential commission and profits to what you see most fit. As there is no changing the prices for your designs at TeePublic. As there is only two prices, the sale price, and the sitewide price. Shirts on sale sell for $14.00 (Sale Price)and for regular priced shirts $20.00 (Sitewide Price). You can make up to 31% commission by selling your own merch or by selling someone else’s work for 11%. That is the great thing about TeePublic; you don’t have to be artistic to make money here, you could promote others work and still make money on the selling of others artwork. If you find a design you really freaking love, go promote that. Important note on referred sales, it’s a 30-day cookie. So any sell within that time frame you make a commission on. 31% of Selling your own products. How Are You Paid At TeePublic? Currently, at TeePublic, they offer only two methods of payments. Payments are made on the 15th of every month for the previous month sales. CMYK but they do except RGB files as well. An 11% of all referred sales for existing designs. As you don’t have to design any products just promote and market sales. A nice option for the artistically challenged. It’s all free here, to join, to uploading, and selling. Hip Hip Hoorah! No limit on the number of products or designs you can create. I really like how when you first upload your design; it is immediately discounted at a sale price. This is a great way to increase exposure and possibly sales. A 31% commission on sales of your own merch. Holy Cow!!! 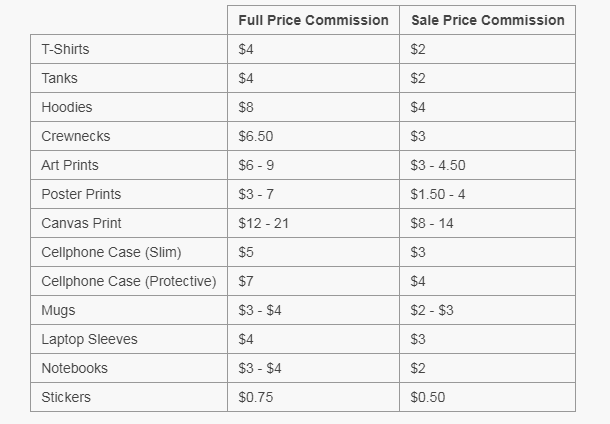 Multiple ways of earning money at TeePublic: Direct sales of merch and also referring sales. You don’t have to be designed to make money here. You can list other people work in your storefront. An excellent rating on Trustpilot. Infant Onesies to design for and sell. This is unique, and I haven’t seen this offered anywhere else, a nice caveat. I love that they offer PayPal. My preferred method of payment. 60 different colors in which to put your design on. Any color can be used from CMYK color palette or any you can create. They do accept RGB files, as well. But which they will convert to CMYK, FYI. Their uploader is nice and simple to understand. No limit on the number of colors. I love no limits. You the designer, retain the rights to all of your work. Ability to track information on Google Analytics. No time limit on campaigns, some sites require you to relaunch a new campaign once the time runs out. I really like this. Saves me time and worry, as I already have enough to do. If you need help designing, they will help you. Don’t be afraid to reach out and ask for assistance. Flexible and willing to work with you. TeePublic offers a Newsletter and Blog. Worthy of signing-up and reading. Excellent options to see what is hot and what is selling by looking at the Trending Tags options. Simplified pricing for customers, which could be a real attraction to shoppers. No confusing prices. Initially, when you upload your artwork, it will be on sale for 72 hours. This translate to you, as a lower sale per commission (see above) but…it might also translate to more eyeballs on your product as well as to your storefront. Along with possible more sales. It’s kind of, a horse a piece on this feature. Limiting commission!!!! No option to adjust prices or commissions. There are only two price options at TeePublic, a sale price, and a sitewide price. That’s it, people. Sometimes a particular design takes a lot more time and resources that go into designing it thus may be worthy of a higher price. Front printing on shirts only. At the time of this review, this is the only option. So, no back or sleeve prints on shirts. Except for the Zip-Up Hoodies. I highly recommend you check out my page Tips On Designing T-Shirts And Selling Them Online. Here you’ll find, valuable information and relevant links to stepping up your t-shirt designing game. 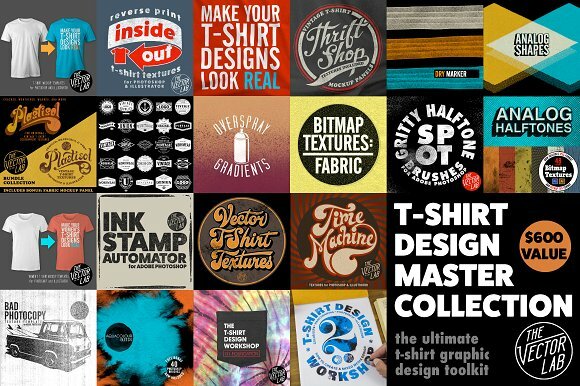 If you want to get into t-shirt designing and don’t have the graphic design skills, head on over to Skillshare. They offer super cheap monthly payments to learn at your own pace. How Cheap? $10.00 a month to learn all kinds of skills taught by professionals. Well worth the price! Do you need cool fonts? Or brushes, designs, vectors, patterns, and more. Creative Market is a must visit website for cheap resources that are usually bundled for a low low price. Also visit Mighty Deals, similar to Creative Market. They also have fantastic deals as well, that will definitely step your designing t-shirt game up. By all means, create a store while at TeePublic. You can sell as many products, as your heart can design. So get to it, BROTHER!!! If you are anything like me, you have a font problem. Being you have way too many fonts to efficiently find the right one. 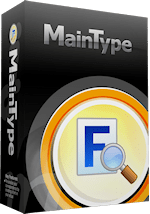 But I purchased MainType, and this has made all the difference. I can quickly browse through them fast and furiously. They also have a free version too. Check it out! You need to check out their Guide page for Designing For DTG. DTG is their type of printer they use to print their shirts and garments. What kind of files they want as well as resolution as well as dimensions. All the technical stuff. Fill out the most tags you can when you are uploading your artwork. This helps visitors correctly find what they are looking for. Add an avatar to your profile, fill out a little information about yourself, add a banner to your storefront. People love to learn about the artist and are more likely to follow you. Read the FAQ page, very helpful for newbies and vets as well. I have posted below, the actual print on demand website link, then a link to my review. Worth a read. Redbubble is my top choice btw. Redbubble – What Is Redbubble? Can You Make Money With Redbubble? SunFrog – What Is SunFrog? Viralstyle – Is Viral Style A Scam? Teezily – What Is Teezily? Society6 – What Is Society6? Can You Make Money With Society6? Teespring – What Is Teespring About? TeeChip – Is TeeChip A Scam? Gearbubble – Is Gearbubble A Scam? You don’t have to be an elitist to make money at TeePublic, if you simply have the desire to earn income and put in the hard work, you can succeed. If designing t-shirts and marketing those t-shirts sound appealing to you, I would recommend you to explore that itch. It’s very satisfying. I have dabbled in it a little, and it’s a nice break from writing reviews and blog posts. See TeePublic Blog for tools and training. Multiple forms of support. A great sign of the company’s health and legitimacy. They offer Chat, FAQ, Where’s My Order?, Phone (OMG, really? Yes! ), and a Contact Us page. I really like the overall features of TeePublic. This is owned by the same company of CollegeHumor, Vimeo, and BustedTees. So, there is definitely legitimacy with TeePublic. They also have a few products other print on demand business doesn’t offer. Which is an alluring factor as well? Simplified pricing doesn’t hurt either and allows all designers to compete on design only, instead of having price wars. The commission you make is decent for referred sales, but more emphasis should be placed on your own store with the design you created, as you can higher commissions on these. I also really love that there is no time limit on campaign length. Feel comfortable with TeePublic to sell your designs. Excellent quality and consistent on-time shipping as well. 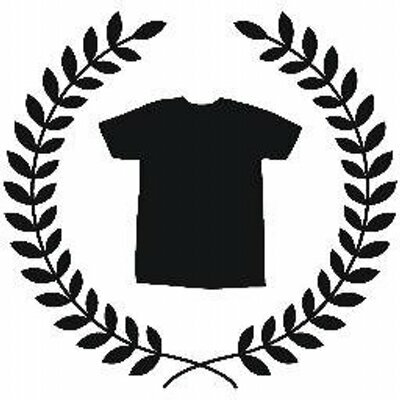 It is also one of my higher ranked t-shirt print on demand ratings for this type of business. Their design promotes sales and more importantly high commissions. Since I already know you’re interested in making money online, I recommend you read my #1 Recommended Program and sign up to get started today. This will teach you how to use affiliate marketing to make money effectively. Check it out. Dan, what an awesome article. I didn’t even consider t-shirts as an easy and affordable business venture. Thanks for also informing your audience of the various tools to enhance their designing skills. Fonts would play a big part of your design, as well as the images created. Wow, this is awesome and definitely food for thought to get you up and running. T-shirts are a great way to make money. I undervalued the idea myself, have since proven myself very wrong. Fonts are amazing, as I am finding amazing ones all the time. Glad you enjoy it Phildora. How you doing? I really like the way you write this . Thanks for the informative post, I learned a lot from your article. Boost Up! Thanks for the positive feedback. I aim to try to please my readers. Thank you kindly for this review on Teepublic Dan, I am an artist and was recently contacted by Teepublic, was looking to see if it was a scam when I came across this post. I found your article very informative, and to the point. Thanks for the compliment about my article on Teepublic. I try to help people decide if the company is right for them to begin selling their artwork there to make money. Looked at your artwork on your site…wow, love it. Especially the artwork on sheets of music. Great idea and it looks amazing!! !